As President and owner of MainStreet Design Build, Steve manages the company’s operations, as well as controls the conceptual design and architectural process for each project. Steve has a rich background of over 28 years in the business. He started his career in the early 80′s in rough carpentry, then as a finish carpenter, and up the ranks to project management. Steve started his own business because he saw a “lack of quality and detail” in the local remodeling industry. Steve received his Certified Remodeler’s certification (CR) from the National Association of the Remodeling Industry (NARI) in 1995. He continues to hone his craft as an expert in the field, working with and advising others through peer groups such as fellow Big 50 recipients and the Remodelers Advantage Roundtables. As well as being the visionary, Steve enjoys golfing, skiing and coaching or being an enthusiastic spectator at all of their sons’ sporting events. As a co-owner, Christine manages the interior space planning and materials selections for each project. She has a keen eye for both design and function and thoroughly enjoys working directly with her clients to help them with selections (such as cabinetry, countertops, tile, flooring, fixtures, appliances) and manage project details. Christine’s unique gift is helping her clients “create a beautiful space that flows perfectly with the homeowner’s unique style”. Christine is a graduate of The University of Michigan and is certified through the National Kitchen and Bath Association (NKBA) as a CKD (Certified Kitchen Designer). Outside of the office, Christine relishes her time with both of her boys, volunteering at school, as well as cheering them on in their many athletic endeavors. In addition to being a doting mother and a designer extraordinaire, Christine trains and runs in marathons. She proudly wears the distinguished honor of completing the Chicago Marathon twice. Kim started her career at MainStreet in 2011 as the Office Manager and Bookkeeper. She was a perfect fit with our team culture. Kim worked tirelessly to find improvements to the business and project development systems of the company which was already in its 20th year of business. Recognizing her dedication, intelligence & business savvy, it was an easy decision to promote Kim to her current role as General Manager in 2016. As General Manager, Kim oversees the operational and financial systems of the company. She is passionate about continuous improvement, which makes this position a natural fit. Kim works closely with the design, production and administrative teams to improve the processes that result in the exceptional experience we offer each of our clients. Kim graduated from Wayne State University with a Bachelor of Science degree in General Management. In her spare time, Kim enjoys working in her garden, spending time with family and friends and shopping for antique treasures. Kelly joined MainStreet in 2015 and manages the flow of accounts payable and receivable as well as processing employee payroll. Kelly happily assists all departments, from bookkeeping to production. Her bubbly personality and friendly demeanor keep everyone smiling at MainStreet, including those who walk through the door. Kelly is the mom of four grown boys, all of whom she is very proud of and excitedly shares their adventures. When Kelly isn’t working, she loves to boat on Lake St. Clair or go camping with her family. Kelly is also an excellent cook and baker. Everyone at MainStreet eagerly awaits her pumpkin roll every fall. Tricia holds a degree in marketing from the University of Detroit and has had a varied career in marketing and administration. She has worked in the jewelry, insurance, and metalworking machinery industries. She also owned a food truck at one point. 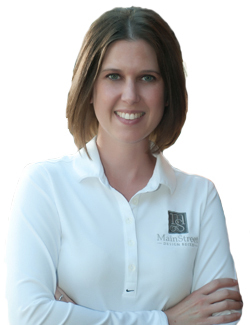 Tricia assists with marketing and client management for MainStreet. A respected leader in the residential design and construction industry for nearly 25 years, Dan has worked alongside some of Michigan’s top builders, contractors, and design professionals. Dan’s working knowledge of light frame construction, structural engineering, and the entire renovation and remodeling process, helps to ensure that each project is built efficiently to MainStreet’s level of quality. Dan holds a Bachelor of Science in Architecture degree from Lawrence Technological University. When he is away from the office, Dan loves spending time with his family, exploring the great outdoors and catching a movie or a concert. With a passion for design that started as early as high school, Marcelle earned a Bachelor’s degree in Interior Design (EMU, 1993) and Architectural Illustration from Lawrence Technological University in 2002. Marcelle started her career in residential design working at a small family-owned business in Metro Detroit, which quickly segued into custom millwork design—her flourishing expertise today. Known for her ability to capture a client’s design intent, Marcelle has a keen eye for detail and has a fabulous way of giving homeowners design options that fit their lifestyle needs. When Marcelle is not working, she enjoys spending time with her husband and daughter, particularly outdoors, and traveling to the Keweenaw Peninsula to see her extended family. Marcelle also enjoys home tours and kitchen tours around the Greater Detroit area. Shirin moved from Iran to the U.S. in 2015 and lives with her husband and two fur babies. She has a B.A in Art and Interior Architecture from Limkokwing University of Creative Technology in Malaysia and graduated with a Certificate of Excellence in 2009. Creating beautiful, functional and unique design solutions is not only her job but also a passion. Shirin speaks five different languages and has traveled extensively. In her spare time, she also loves to read biographies and dance. Steve is a native of the Grand Rapids area in western Michigan. Following high school, Steve learned the carpentry trade and became a rough carpenter. With a passion for the construction and design industry, he moved to metro Detroit and attended Lawrence Technological University where he graduated with a B.S. in Architecture. Steve has always had an innate sense of how things are built. His goal is to “create designs that enhance people’s interactions with the built environment.” Choosing a career in architecture and working hand in hand with the production team is the perfect fit for his technical and educational background. Steve and his wife have an amazing little girl and they are anxiously awaiting the arrival of her little sister, due in February 2019. Although the early years of parenthood can be grueling, Steve loves to get out and play a round of golf when the opportunity arises. A graduate of Bowling Green State University (May 2017), Christopher earned his Bachelor of Science in Interior Design. He is a LEED Green Associate and is also a member of the American Society of Interior Designers. Christopher started his career with an internship at Pottery Barn, where he utilized his talents of spatial organization along with selecting furnishings, lighting, floor and window treatments. With the latest technology and techniques, he is known for capturing the vision of his guests and is able to create a design that will not only look amazing but will be functional as well. When Christopher isn’t working at Main Street, he’s still utilizing his design skills on a part-time basis at Pottery Barn where he continues to create beautiful interiors. Although he keeps a very busy schedule in the design field, physical fitness is extremely important to him. Christopher loves going to the gym daily and spends his personal time socializing with friends and family. Dwain May oversees your project once you move into the construction phase. Calm and collected, Dwain is the one who makes everything look easy. He’s managing all of the events of your project. Dwain works with our carpenters, craftsmen and you to ensure a smooth experience. “I love what I do. And MainStreet is great to work for—we are a family and that shows as we all work together so well,” says Dwain. Dwain is an accomplished master carpenter and has been with MainStreet Design Build since 1994! In his off hours, Dwain enjoys darts, working in his workshop, playing with his daughters and helping friends with their home projects. A veteran of the construction industry since 1996 with nearly 15 years of project management experience, Rick has been a welcome addition to the MainStreet family since 2015. From humble beginnings working with rough and finish carpentry crews in the family business to selling, estimating and managing residential remodeling projects at a large construction company, Rick has found his passion in scheduling and managing subcontractors and in-house carpenters—seeing a project through its final completion. When Rick isn’t working, he is devoted to his wife and kids, taking every opportunity to enjoy family activities together, whether it be at the zoo, Greenfield Village, or the corner playground. He also has a passion for finished carpentry work, enjoys furniture building, craft beer, and playing cards with his friends. Chuck has been active in the construction industry for nearly 35 years. He started doing rough carpentry in the mountains of Southern California in the mid ’80s, and eventually moved into residential project management for an award-winning custom home builder in Albuquerque, New Mexico. Born and raised in Michigan, Chuck returned to the Great Lake state after almost 17 years to be closer to family. He began working in custom finish carpentry and eventually worked himself into a remodeling project manager position. Chuck is also a proud member of InterNACHI, the International Association of Certified Home Inspectors. Chuck likes to spend his free time with his three girls (wife, daughter, and granddaughter). He also enjoys fishing, hiking, being outdoors, and playing cards. Born a cheesehead but raised in Fort Lauderdale, Florida, Jordan is no stranger to the carpentry business. With nearly 10 years of experience, and hired in 2014, he has acquired skills in a variety of trade and manufacturing positions, including electrical and low voltage, automotive manufacturing and metal fabrication. Jordan has always accepted new challenges at MainStreet and moved around the field and into the office where he is now an integral part of the production development team. When Jordan isn’t working alongside MainStreet’s finest, he is playing or watching sports, traveling and exploring the great outdoors. Jordan also enjoys cooking for friends and family. A 14 year veteran with MainStreet Design Build, Kyle has been honing his skills as a master craftsman for over 15 years. Kyle attended Oakland Technical Center with a focus in Construction Technology and then joined MainStreet in 2005. The company benefits tremendously from his commitment to high-quality standards and increased focus on customer satisfaction. For fun, he enjoys all water sports, fishing, kayaking, biking and just spending quality time with his family. Kyle is a very proud uncle. Don’t be surprised if, when you ask him how he’s doing, that he pulls out pictures of his nephews and niece, who he simply adores! A remodeling industry veteran with over 22 years of experience, Marq started his career with MainStreet in 1997 and is currently the company’s “master finisher.” He began his career in rough framing in 1997 and quickly learned over the years that his passion is in the finishing details. Whether cleaning up a punch list or tackling a sea of sticky notes, Marq focuses on making every remodeling detail look incredible. He admits being the happiest when he is installing cabinetry, trimming out a job or wrapping up a project—determined to “wow” every client. When Marq isn’t working, he is spending time with his family, traveling or tapping into his inner artist. Marq calls it “crazy art,” which goes with the crazy music he is known for listening to. Damien excitedly began his journey with MainStreet in 2016 as an assistant to the field members. Enjoying an energetic work environment, you’ll find him preparing your job site, ensuring tidiness through the duration of all projects, and lending a helping hand everywhere it is needed. As Damien has developed his skills with the guidance of our exceptional carpenters, he believes that bringing a positive, can-do attitude every day is imperative. This has led to his successful transition from assistant to a full-fledged carpenter that the team relies on every day. Looking forward, Damien hopes to accumulate skills in all stages of the craft and has his sights set on a degree in Construction Management. He hopes to become a project manager in the future and is working incredibly hard toward that goal. In his personal time, he likes to be outdoors. Wading through rivers, fly-fishing; backpacking and camping are among his favorites. Dave has enjoyed the challenge of working in the construction industry for nearly 40 years. His greatest desire has been to please his clients whether it was during years of rough construction projects or during the time when he focused mainly on estimating those projects. He hopes to continue to hone his skills while moving forward in his carpentry career at MainStreet. During his personal time, he enjoys volunteering opportunities at his Church and also his favorite soup kitchen in Detroit. Dave has two beautiful grown daughters, he loves to spend time with. He rests his spirit when walking, exercising and riding bikes through trails all over the beautiful state of Michigan. After hurricane Katrina hit in 2005, Eric moved to New Orleans to help that community rebuild. He lived there for five years, honing his skills in a remodel setting as he helped to put homes and families back together. After moving back to Michigan, Eric wanted to learn more about new home construction. Focusing on new construction framing gave him just what he needed to round out his experience. That experience helped Eric to realize his passion lies in woodworking and the fine detail of finish carpentry. He also enjoys the daily variety that this type of work offers. When Eric is at home, he loves to spend time with his wife and two girls. His family is fortunate that he also enjoys doing projects on his own home. Andy is a lifelong Michigander and started his professional life traveling the country as an assistant golf pro. He then moved on to advertising production and quickly realized that his true passion lies working with his hands. He was very excited to join the production team at MainStreet late summer of 2018. As an assistant carpenter, he is able to utilize his creativity and passion learning the many aspects of carpentry. During his free time, Andy enjoys golf, being the sous chef at home creating meals with his girlfriend and spending time outdoors, especially in the spring and fall. Although she is of the canine persuasion, Izzy loves her job at MainStreet. She takes her job of greeting every client very seriously. In her spare time, she enjoys chewing on golf balls, sticks, and playing fetch. Also of the canine persuasion, Zoey is a descendent of our beloved Director of Public Relations. She is working into her role as a greeter and happy smile generator. She’s also learning the very important lesson of obeying and delivering perfectly timed visits that are guaranteed to comfort and delight. In her spare time, Zoey enjoys napping, snuggling, chewing, and chasing her tail.